While we often do not give much attention to our car’s windshield, it provides a vital service by protecting us from the elements and ensuring our visibility while we drive. This makes it important that you take care of your windshield, and that you have it replaced when the time comes, as doing so will ensure your safety on the road. Yet, how will you know when your car’s windshield is in need of replacing? Here are a few of the signs you can look out for in your car indicating that your windshield needs replacing. While certain chips and cracks in your windshield can be repaired, if your chip is larger than a quarter, or your crack is longer than three inches, then repair likely isn’t an option and it will be safest to have your windshield replaced. The fact is that this damage will likely only continue to get worse, and it is best to have your windshield replaced before your view is further compromised. Another indicator that your windshield needs replacing is if your windshield is white around the edges. For safety purposes, windshields are treated with Polyvinyl butyral (PVB) which keeps your windshield from shattering into a million pieces and injuring the vehicle’s occupants in the event of a collision. 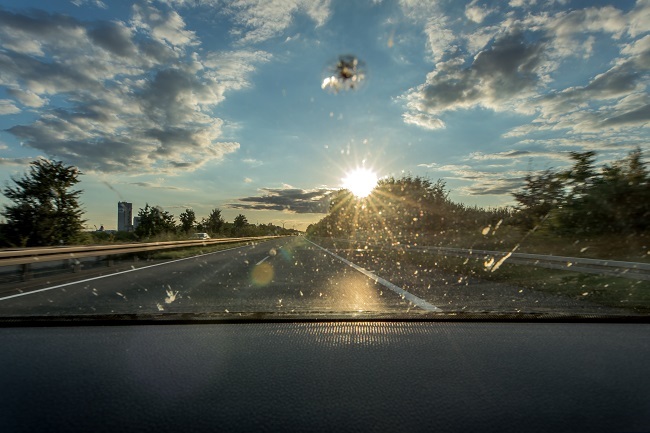 If you have begun to notice a white haze around the edges of your windshield, this means that this protective layer is failing and that you will need to have your windshield replaced in order to ensure your safety on the road. Even if your windshield does not seem to have any serious damage, you should consider having it replaced if any scratches, pitting, or discoloration is getting in the way of your view when you are driving. As a driver, you will need a full view of the road in order to ensure that you have as much time as possible to react to obstacles in the road. If anything is blocking your view, this could result in an accident. Having an aging windshield replaced is more than just cosmetics. Replacing a damaged windshield helps to make driving as easy and safe as possible for you. Contact us to learn more about the signs indicating that your car’s windshield needs to be replaced.